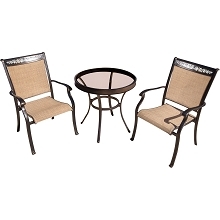 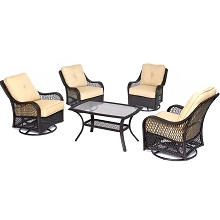 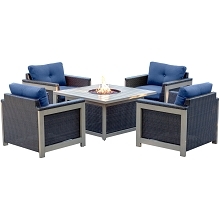 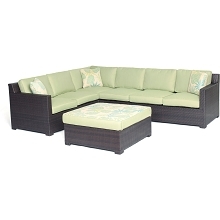 Encourage your guests to sit back, kick their feet up and unwind with the Metropolitan 5-Piece Lounge Set by Hanover. 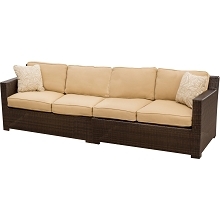 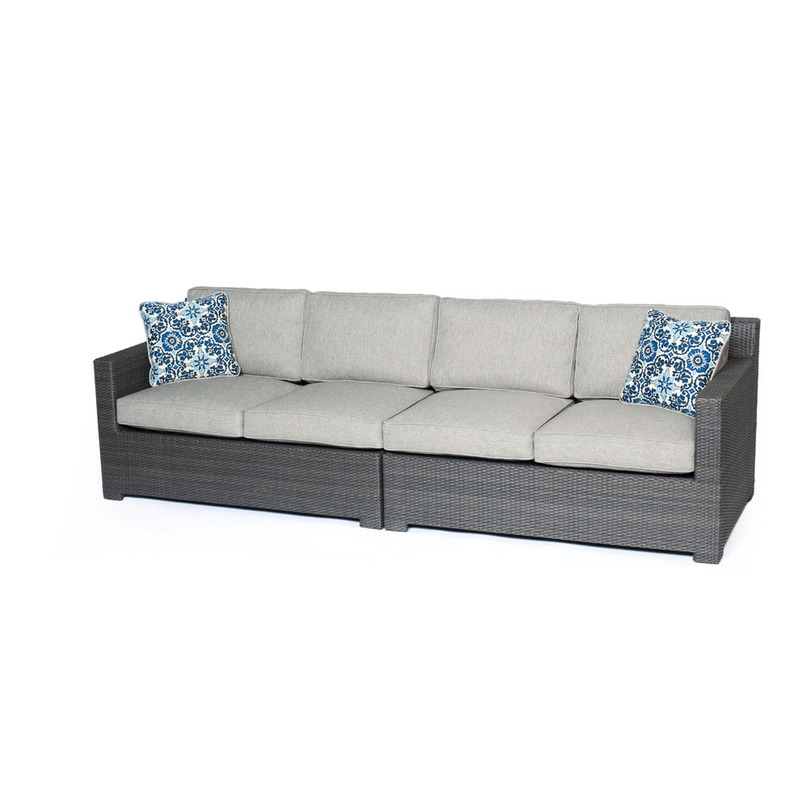 Designed to entertain a crowd, each piece features a beautiful woven frame and generously-sized cushions for a resort-style retreat at home. 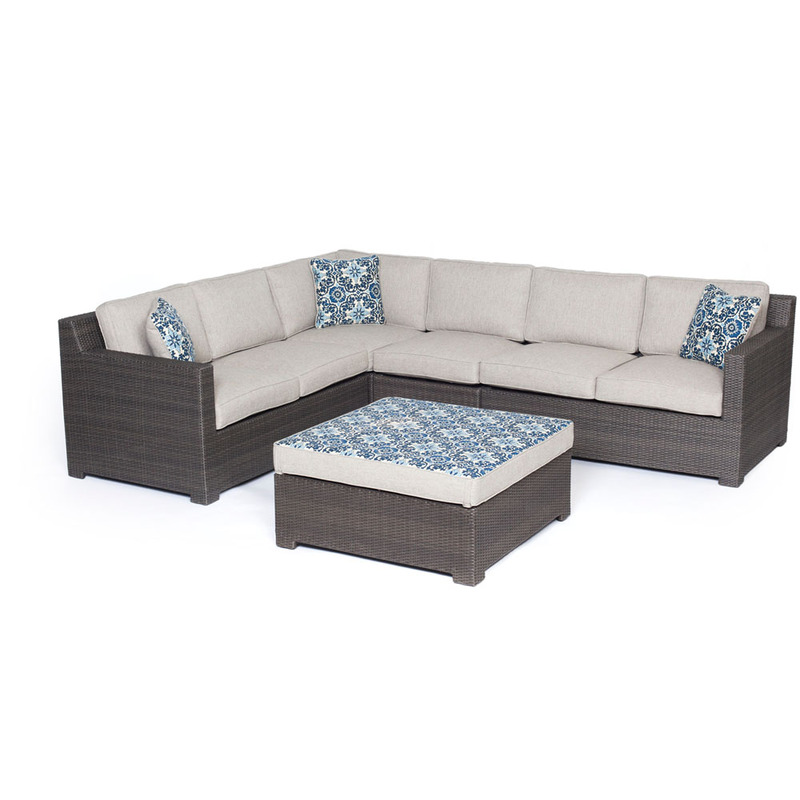 The two loveseats, corner piece and armless chair can be separated to utilize individually, or you can join them together to form a colossal L-shaped sectional for an intimate and casual appeal. 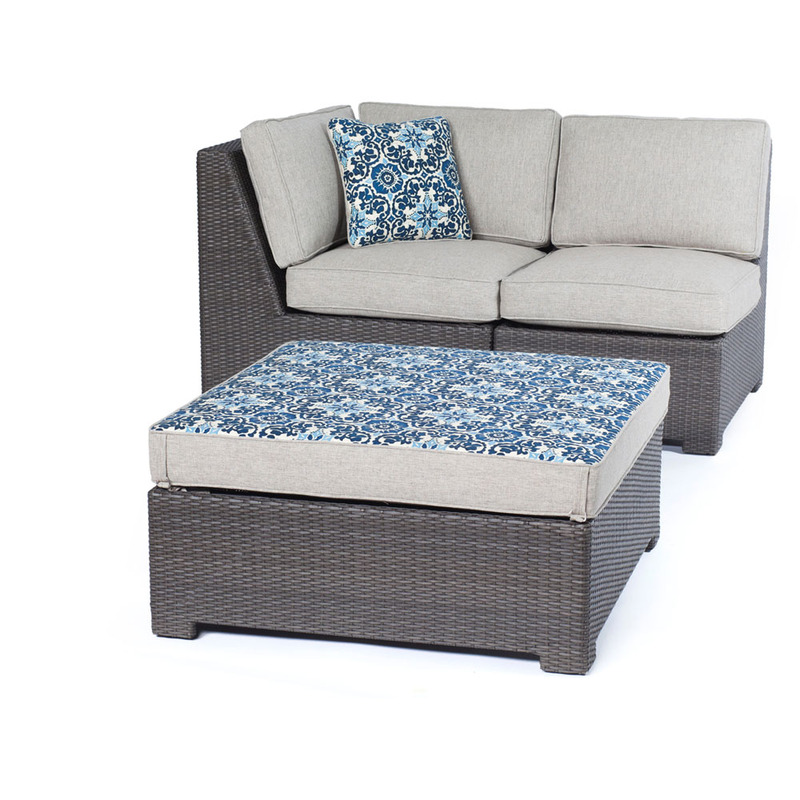 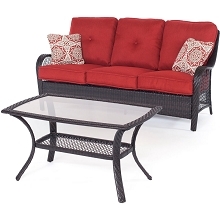 You can use the oversized ottoman as a coffee table, leg rest or extra seating if needed. 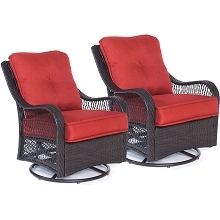 The deep-seating foam cushions are covered by premium olefin fabric and come in a variety of color options to complement your personal style. 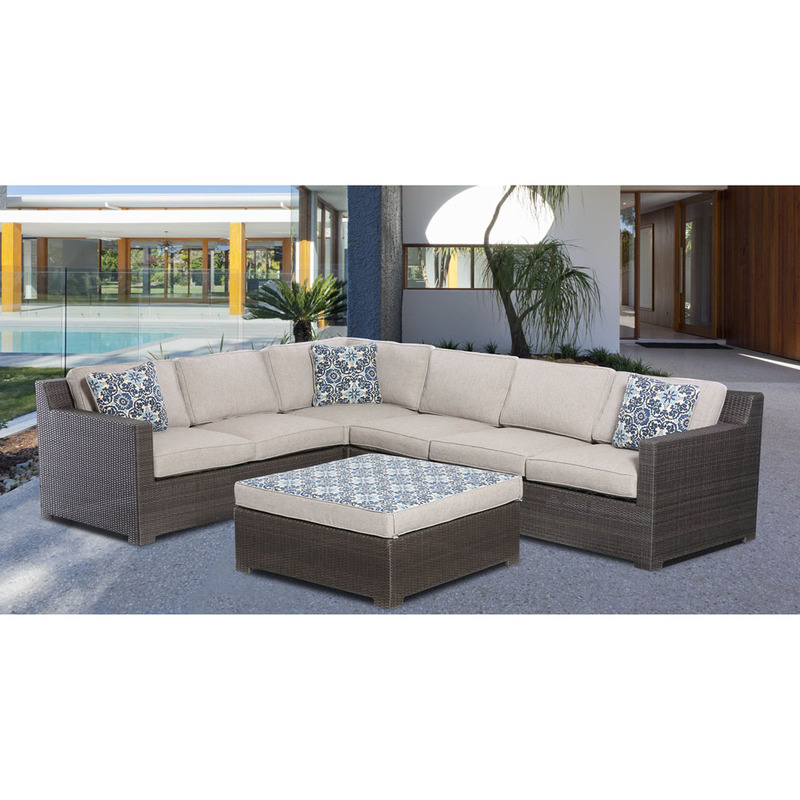 The reversible throw pillows and ottoman cushion add versatility to the set, displaying a solid color on one side and a coordinating pattern on the other. 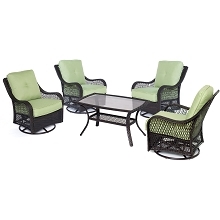 Integrate this set with other pieces in the Metropolitan Collection to create a customizable design that will pamper your guests all year long.